We are glad to announce major changes for our new Mid-Season Reinforcements, namely an upgrade to Kapkan’s Entry Denial Device, a new Elite set for Jäger, more weapon balancing, and bug fixes. Ela’s SMG is getting a recoil balance, & she is losing a Grzmot mine. Each set includes a matching Uniform and Headgear, Operator Card, Operator Title, Charm, and a Signature Victory Animation. Fixed – Shields can be placed in a doorway, and through a series of actions, used to clip into the walls. *These issues are Fixed on an individual basis, and we will continue to fix occurrences as they are found. Fixed – Players are able to see through smoke grenade clouds when they are far away. Fixed – If a defender removes a barricade while a claymore is on the other side of it and it ends in DBNO, the slow blood prompt is not available. Fixed – Players cannot open the scoreboard when being presented with the map and game mode at the beginning of a match, or in the round presentation screen just before the planning phase. Fixed – Shield animation is broken when spamming prone. Fixed – – User experiences collision issues while strafing along destructible walls. Fixed – Deploying Castle’s barricade and cancelling the animation will no longer cause other player’s FPS to drop. Fixed – Players are able to duplicate Tachanka's turret indefinitely. Fixed – Trophy system does not intercept grenades as intended. Fixed – Candela Charges will blind the Attacker continuously if they enter their drone camera while flashed. Fixed – No points are awarded for players that step on Gu mines while Lesion is dead. Fixed – Pellets can get attached to nothing, causing them to float. 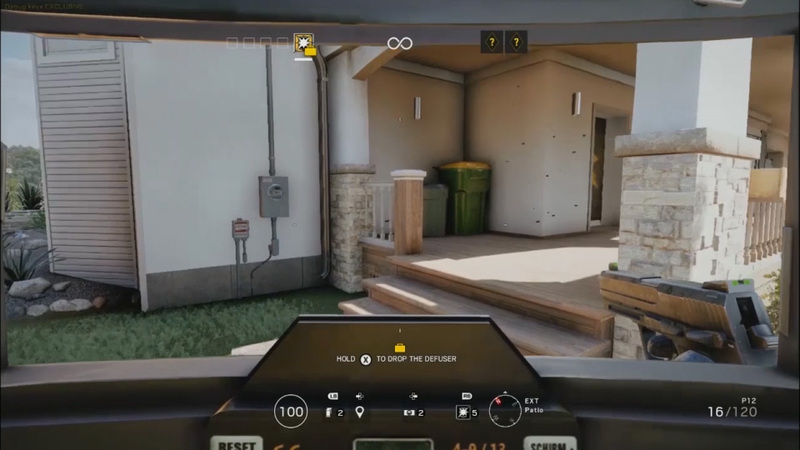 Fixed – Ash is able to destroy Bandit's shock wire on an electrified reinforced wall and receive points when she should not be able to destroy it with her Breaching Round. Fixed – ADS is misaligned after immediately switching from gadget. Fixed – A delay is present before aiming with her Electronics Detector deployed. Fixed – There is a clipping issue when crawling while using the Skeleton Key. Fixed – Explosives do not destroy Shock Wire when the reinforcement is placed on a trap door. 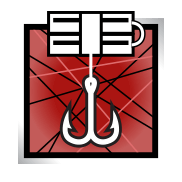 Fixed – No points gained for destroying a Breaching Round with electrified wires. 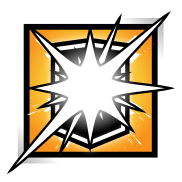 Fixed – The replication of Montagne shield can be broken. Fixed – Montagne can shoot through the extended shield. Fixed – Voice chat can be heard between different PVP games. Fixed – You can hear the sound of the biohazard container in the previous spawn selected. 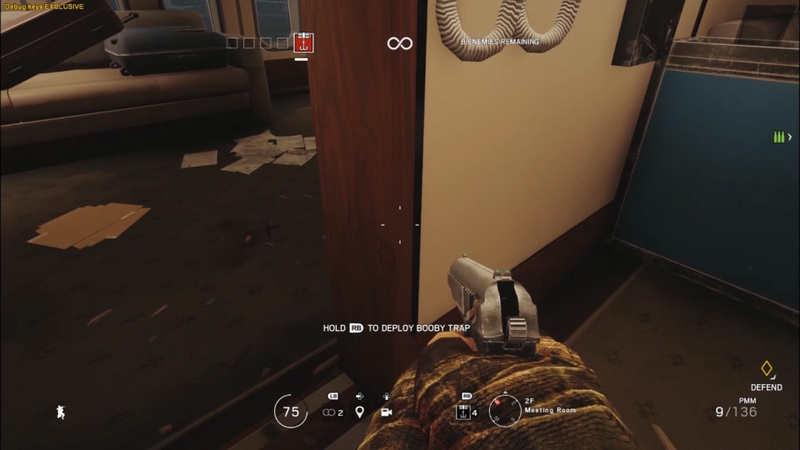 Fixed – Hostage clips through all walls and object when the attacker stops escorting him. Fixed – Players are able to displace the hostage using the deployable shield. Fixed – Participants in a custom game will remain in prep phase if the host pauses the timer after the time has ended. Fixed – Placing a deployable shield in the doorframe blocks the vaulting option in 1F House Lobby and 2F Terrace. Fixed – Gu is not activated if thrown at the intersection of two tiles at the bottom of the stairs in 1F House Lobby. Fixed – Drone can fall out of world from under the stairs of EXT East Garden. Fixed – Players can vault inside the boxes at 2F Cafe Corridor. Fixed – A pile of plaid clothing asset across the map acts as an indestructible steel object when struck with the Sledgehammer. Fixed – Players can see outside by destroying the walls of the cockpit. Fixed – It is possible to kill players above Kitchen through the indestructible floor using explosives. Fixed – Defender can run out to a specific spot and remain undetected. Fixed – Rubberbanding when vaulting a shield in Basement Archives. Fixed – Players are able to stand on a window frame. Fixed – Vaulting over a Deployable Shield in the Archives Corridor hallway may result in the player falling out of world. Fixed – Hole between table legs on 2F Hallway is acting as a penetrable wall. Fixed – Valkyrie can place a camera inside a wall from 1F West Corridor from B Garage. Fixed – After destroying the roof of the garage the player can throw a Black Eye camera into it and see through wall. Fixed – Wood buffer are too large next to reinforcements, allowing players to shoot through them. Fixed – Behind the crates in 2F Armory, there is missing collision on the wall and a drone can fall out of the world. Fixed – Players are able to force their character out of the floor's collision and kill opponents outside. Fixed – Textures between reinforcible and indestructible walls allow bullets to pass through. Fixed – When interrupted, some weapon’s reload audio does not properly sync with the animation. Fixed – Bad animation when you go from running to walking stance. Fixed – Crouched Operators can sometimes have their foot clip into ground. Fixed – Montagne's reload animation is broken when viewed from 3rd person. Fixed – Inconsistency between the in game headgear and the picture for some of Valkyrie’s headgear. Fixed – Arm Protection's straps clip into Rook's uniform. Fixed – IQ's hand and shoulder have a strange animation when deploying the Electronics Detector. Fixed – Rook's face clips through his headgear when being hit. Fixed – After Ela’s concussion effect disappears, there is a bad animation with the hands. Fixed – Blitz has missing shoulder straps on his default uniform. Fixed – Bundles reappear after unlocking them. Fixed – The item model will rotate without player input if the player enters a submenu or switches through the available content while rotating the model. Fixed – Rook’s Créneau headgear design on the shop image does not reflect the design of the actual headgear. 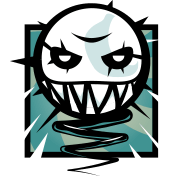 Fixed – Valkyrie’s Pop Art headgear thumbnail has normal hair and grey glasses. Fixed – Visual artifact visible on the Alpha Pack. Fixed – 25 Pack Icon is distinct from the background. Fixed – Distinct stripe is sometimes visible on the Alpha Pack. Fixed – Sometimes there is a shadow in front of the card pulled from Alpha Packs. Fixed – Inconsistency between rarity of gridlock weapon skin. Fixed – While entering through a window from rappel while ADS and shooting, ADS animation is broken. Fixed – For Scorpion EVO 3 A1, the muzzle flash is too far ahead when a weapon is equipped with Compensator. Fixed – The rappel rope/line clips every time you end the action. Fixed – When moving while in ADS with any weapon with an ACOG sight, the weapon sight displays minor rubberbanding. Fixed – The weapon becomes invisible if quickly switching to and back from a gadget can be equipped and held. Fixed – Currency Pack price inconsistency in British Store. Fixed – Inconsistency with the Legendary skins missing rarity. Fixed – The rotation axis of the Operator’s shields in the charms full screen preview is incorrect when using higher levels of zoom. Fixed – Bandit’s Road Hog uniform does not have a rarity. Fixed – Gridlock Assault Rifle Bundle has two items without rarity until items are previewed in the shop. Fixed – Sledge’s Blood Orchid uniform camo pattern appears too dull and is not very visible. Fixed – Corrupted texture can be noticed on the Alembic skin thumbnail after equipping the skin. Fixed – The Valkyrie Chibi is invisible in game. Fixed – Frost’s Blood Orchid uniform appears too dull, not being very visible. Fixed – Blue Nebula Skin does not have a rarity. Fixed – The Oak Barrel charm clips into the weapon. Fixed – The text on the right side of Ela's headgear is mirrored. Fixed – There are more cans of the 30 days booster then the 90 days boosters. Fixed – Beatmatch charm is in low resolution. Fixed – A typo is present in Ela's description in Spanish localization. Fixed – There is no visual indicator for squad members when they are transmitting audio over voice chat. Fixed – All Weapon Skins, Charms, Attachments, Headgear and Uniforms are reset to default on every Operator after rebooting the game. Fixed – The Fragrant Harbor charm has black reflecting textures on the sails. Fixed – The Dancing Auntie charm has missing backface. Fixed – The Gold Chibi for Glaz has missing backface.